Now let your friends know about your shopping. Email your Shopping Cart ! 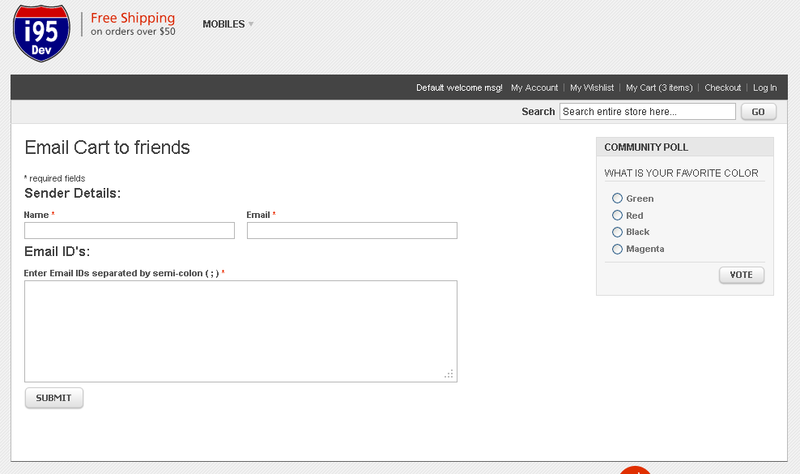 Magento Email a Cart Extension enables you to send a complete Shopping Cart details using an email to any of your friends & family that you would like to share with. 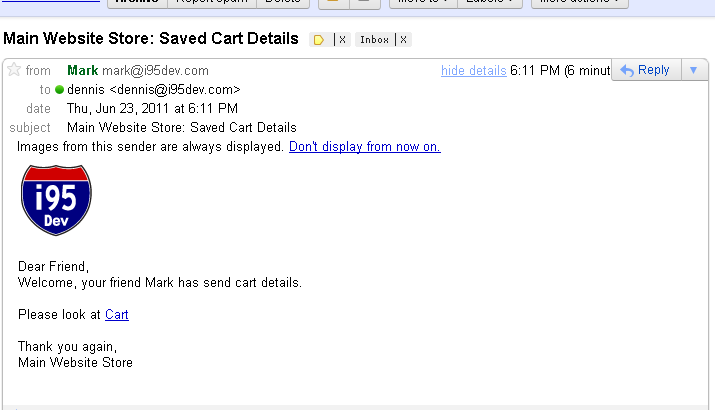 Every product that is added to the shopping cart can also be sent using email. This is an unique way to save your shopping cart details. 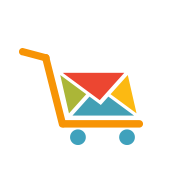 By default a Customer can save only one wish list in Magento, but this extension enables customers to save Multiple Shopping Carts/Wish Lists and sent to your emails to share with others or for future reference. 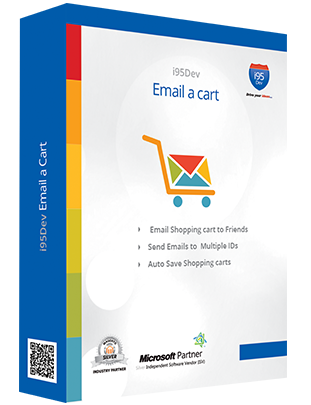 Customers can auto save their shopping carts sending to your emails and reorder the same shopping cart items as and when you needed with just a click.